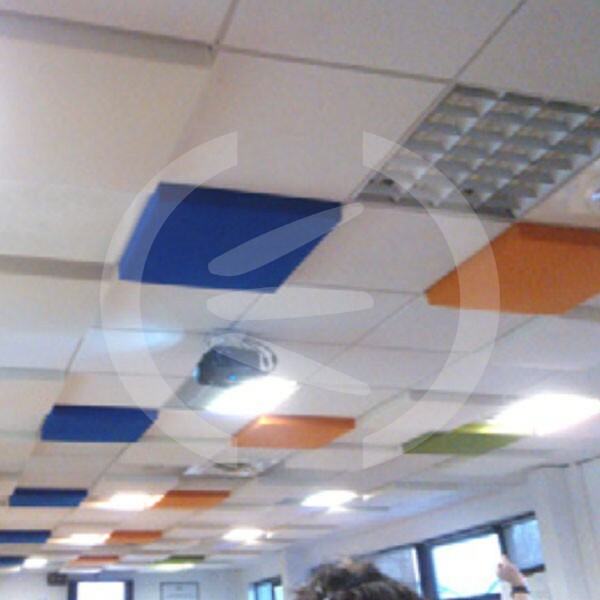 Absorbent acoustic panels aimed at increasing the acoustic comfort in rooms with face ceiling and panels with de cit of absorption. 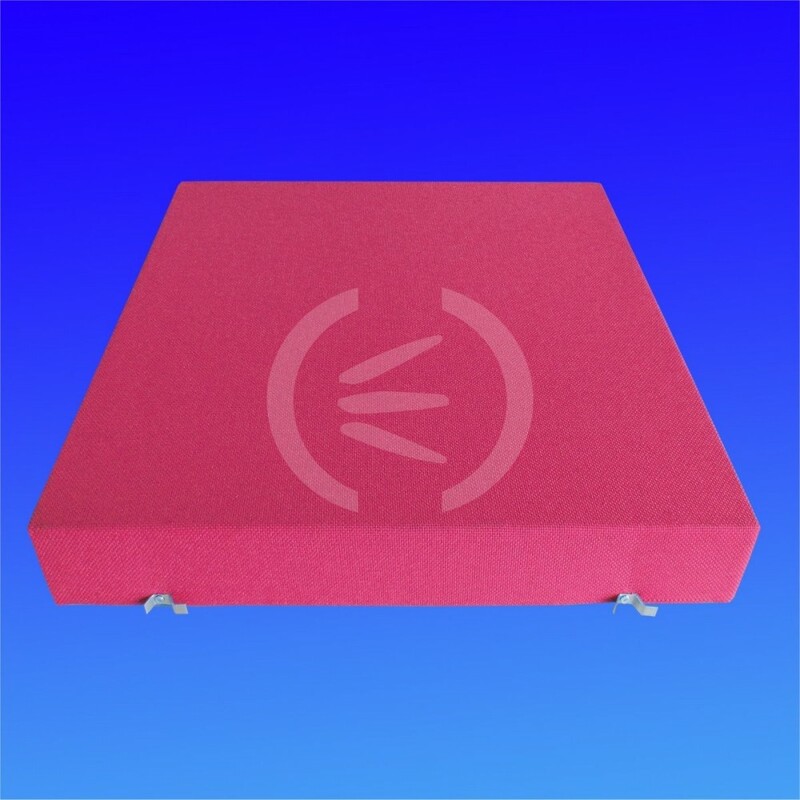 Acustiart-3DM has the exact size to replace standard panels on modulated false ceiling of 600 x 600 mm. Easy installation. Large range of standard colours. 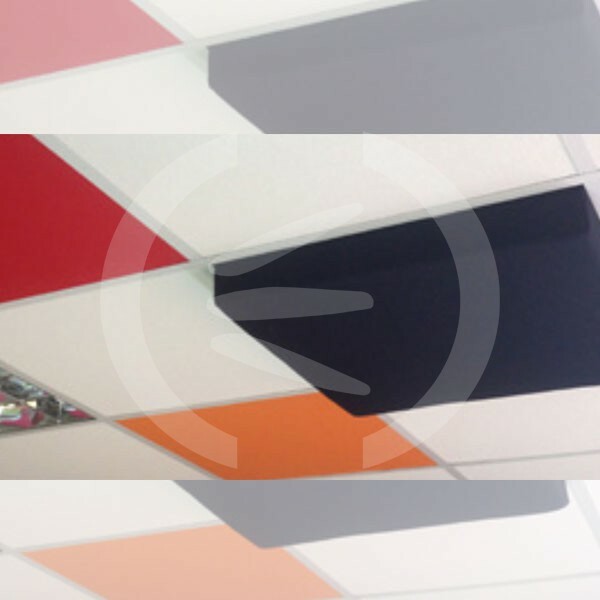 Various panels of Acustiart-3DM can be distributed on the ceiling as a puzzle to achieve a different and more modern aesthetics. All kind of rooms with standard false ceiling with modulated pro les of 600 x 600 mm. 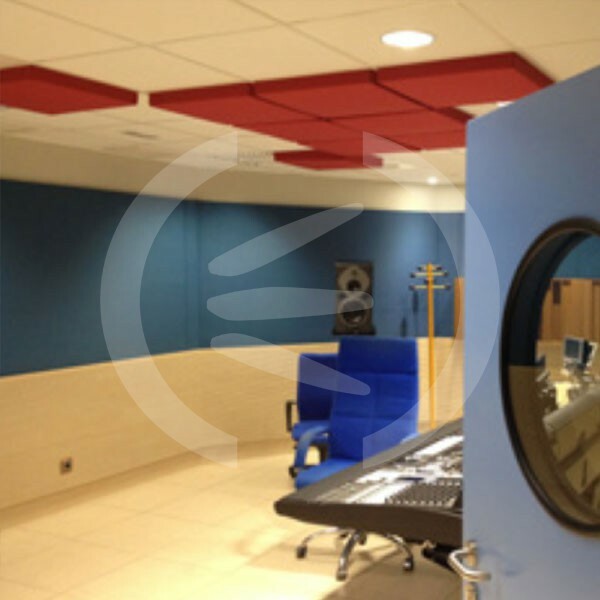 Multi-purpose rooms, of ces, home-cinema, studios, radio stations, TV studios, cinemas, theatres, rehearsal rooms, shops, museums, exhibition rooms, shopping centres, hotels, gymnasiums, sport centres, etc. Finish: Fabric. Colours to choose from standard colour range. Dimensions: 575 x 575 mm. Or 585 x 585 mm. According to the existing ceiling grid profile type. See “Order example” page 2/2. – Stuffing: B s2 d0 in accordance with AITEX Nº 14AN2697. – Fabric: B s1 d0 in accordance with AITEX Nº 14AN2696. 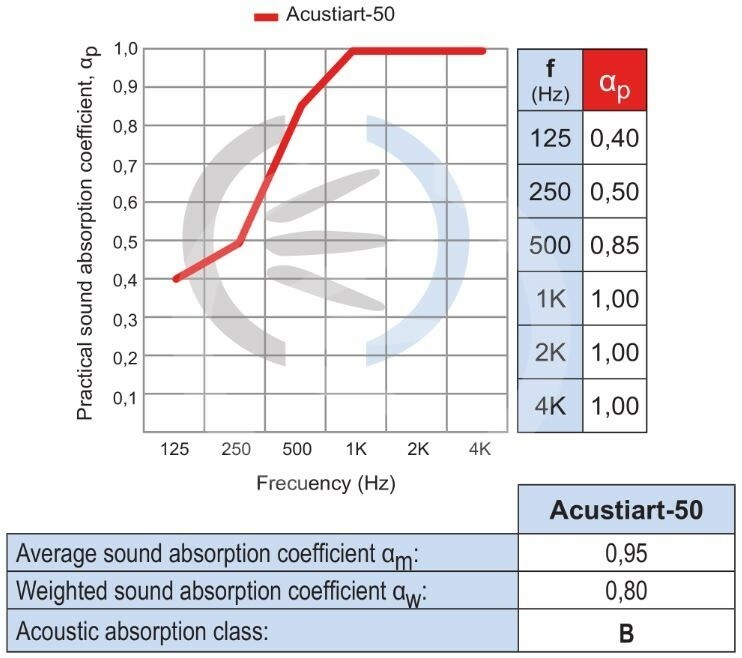 Acoustic absorption Acustiart-50: APPLUS Nr. 11/4191-2913. Test realised in configuration of false ceiling. To replace the existing panels a previous acoustic and acoustic study must be carried out on the amount of panels which have to be replaced to obtained the results expected. The Acustiart-3D panel is installed exactly the same as a standard panel inserting the panel diagonally and once it is in on the upper part it can rest on the profiles. 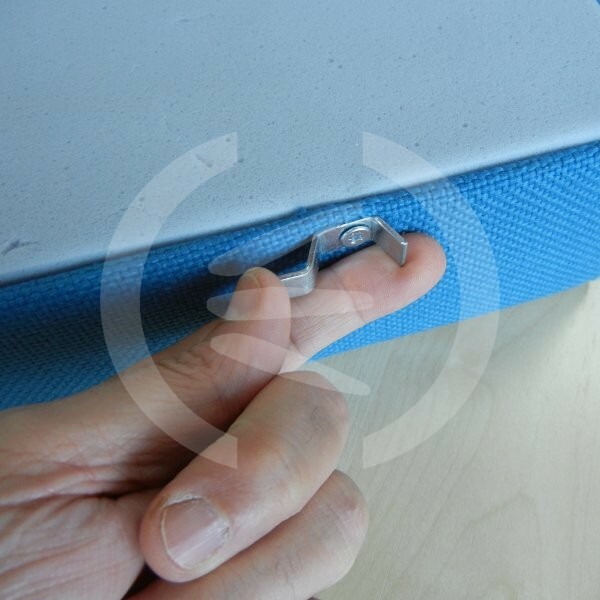 We recommend handling the panels with your hands clean or protected with gloves.